Safe balloon is an interesting concept designed by Baek Uyeol, a Red Dot Award: design concept 2008. 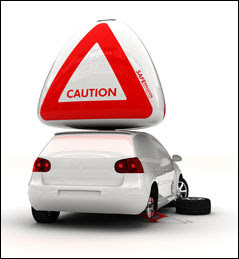 Air bags are used to protect the people sitting in the car and this can be said to be the follow-up of it. 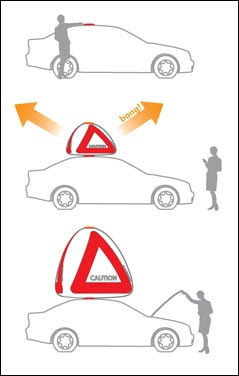 Safe Balloon is a sign triangle that functions in much the same way as an airbag. It's a large-format combined sign triangle and airbag that other road users would find impossible to overlook. Its size and rooftop position make it highly visible, even from a distance. It can be used if your car breaks down or in a situation were the driver is not able to set up a sign to let the other road users know. 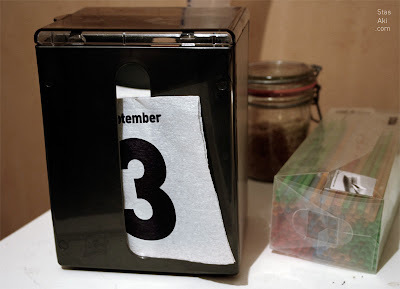 The mechanism activates in the same way as an airbag or it can also be done by hand, and as its solar powered there isn't much for you to think about its maintenance. 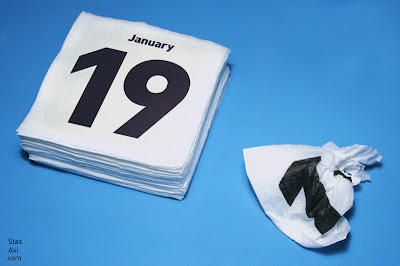 An interesting concept created by Russian designer Stas Aki, calendar printed on napkins. 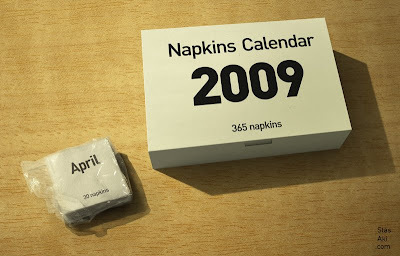 Now we need to remember, as these napkins are 365, pack a month, each with the respective day of the week, which strongly suggests a single napkin use per day. It's quite a combination of humor, timing and economy.